STARKVILLE, Miss. -- Weather in late-winter Mississippi is always a rollercoaster, with cold snaps followed by spring-like reprieves followed by more cold snaps. Occasionally, the temperature dips low enough to freeze pond surfaces, but a week later, the bass are shallow and biting. Every few years, we get a deep freeze in the single digits for several days, and most tranquil water bodies freeze over. The ice can be an inch deep or thicker and persist for several weeks. Many of us ill-prepared Southerners worry about the impact on our fish. Under almost all circumstances, the fish are just fine. Fish can survive a deep freeze based on the properties of water. Water is the heaviest when it is about 39 degrees. As a pond surface cools toward freezing (32 degrees), this lighter water stays on the surface. When it turns to ice, it becomes even lighter. Ice always freezes on the surface and never from the bottom up. As ice covers the pond surface, it insulates the warmer water below. This is why ponds and lakes never freeze solid unless they are very shallow or in extremely cold climates. Pond fish species in Mississippi are well adapted to winter weather, but there are exceptions. Florida largemouth bass, a favorite with many pond owners, are less tolerant of cold water than the northern subspecies. Under extremely cold conditions, some under-ice mortality can occur, but it is rare in Mississippi. Threadfin shad, a popular prey species, are very cold sensitive and will die under ice unless they can find a refuge. 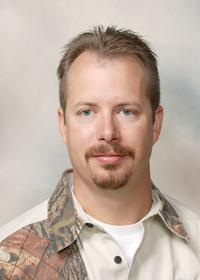 This species may die in severe winters in northern Mississippi, requiring restocking the following spring (if desired). Ponds may not freeze over if they have aerators continuously moving the water. 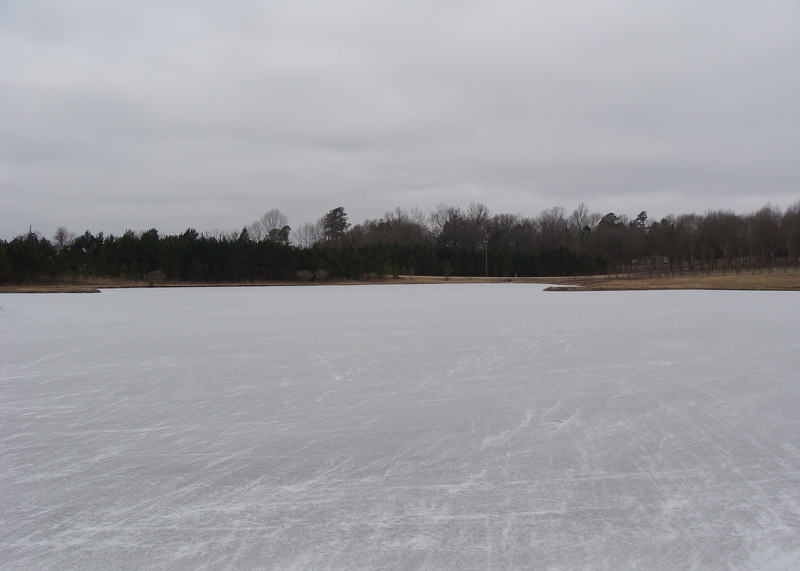 The mixing of the water during the coldest parts of the year will allow the pond to get colder throughout the water column, which usually is not a problem in Mississippi. But if you are worried about your threadfin shad or Florida bass, you might consider turning the aeration off during extreme cold snaps. You do not usually need aeration during winter, and switching the system off will allow a layer of ice insulation to protect your pond. Another concern when cold weather approaches is damage caused by freezing water. Water expands about 9 percent when it freezes. Damages can occur if this expansion occurs inside a rigid container. It is a good idea to remove water from johnboats, feeders or other items before the cold arrives. Cold snaps can have some benefits. Many of the plant species that cause spring and summertime problems in ponds do not like drying and freezing. You can draw down the pond water level during the winter to expose the plants on the shoreline, exposing them to drying and freezing. However, make sure you properly identify the plants and discuss this option with an expert because some species may spread to new areas during the drawdown.